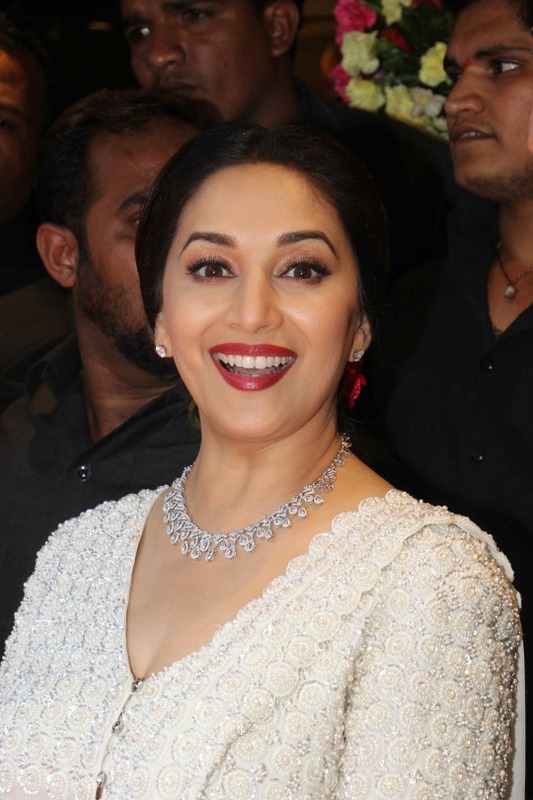 Madhuri Dixit Nene looked stunning in a white salwar kameez at a recent event. The actress was practically glowing and carried off the simple dress with style. 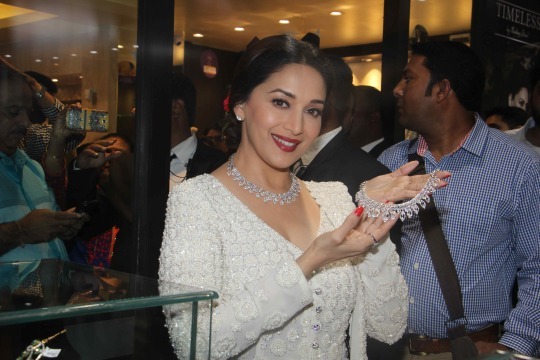 She also wore a diamond necklace that looked very pretty with the dress. 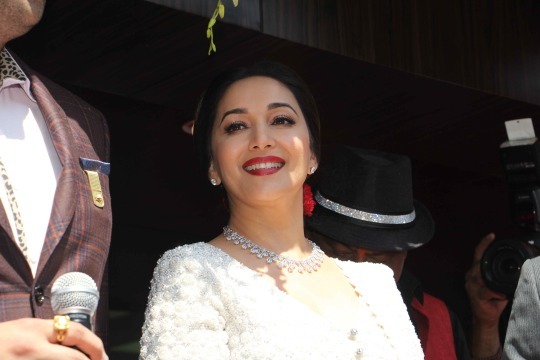 Here are some pictures of Madhuri so you can see for yourself.